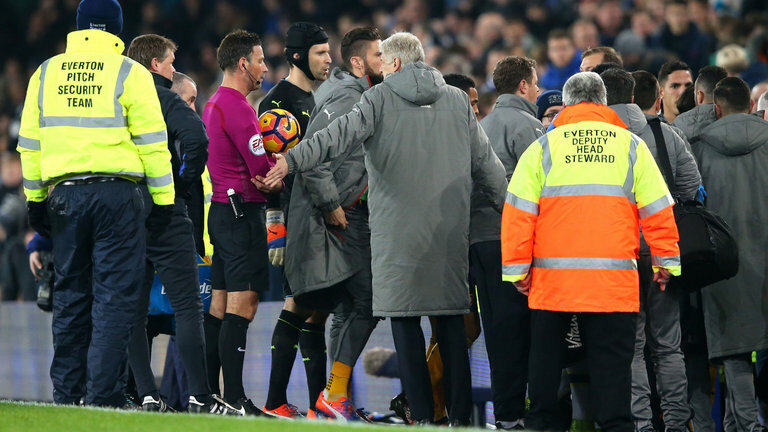 Arsene Wenger has hit out at Mark Clattenburg for awarding a late corner kick which gifted Everton their second goal on Tuesday night. Clattenburg made a wrong decision as he felt Laurent Koscielny, not Calvert-Lewin got the final touch in the Arsenal box. The official awarded a corner kick which was sent in by Ashley Williams and at the end, it was Everton who came out victorious. 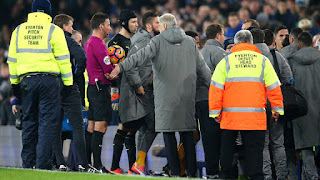 This infuriated Arsene Wenger in no little way and he has now come out openly to pour out his mind as regards the performance of Clattencunt last night. "It was not a corner," he said. "You could see from our side it was no corner. "But I think we have to live with a wrong decision and it does not explain why we did not head the ball after. "I think I am really disappointed because Clattenburg was in a very good position to see they headed the ball out and it's not the first time we are unlucky with this decision this season. "Overall, I do not want to speak about the referee too much. It is not my problem." The 2-1 loss dashed Arsenal's hopes of going top of the table pending the time when Chelsea play Sunderland on Wednesday night.